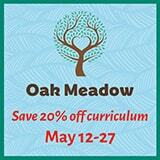 Do homeschoolers have graduation ceremonies? Some do; some don’t. And those who do have graduation ceremonies may mark the occasion differently from one another. 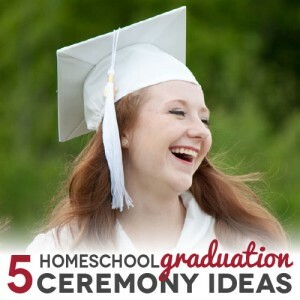 If you are looking for homeschool graduation ceremony ideas that fit your family, there are many options from which to choose. Here are a few that work for many different types of kids and families. Some families have an event for their graduating son or daughter, at home or in a special locale like a restaurant or park. It might be just a dinner or party with friends and extended family, or parents and mentors may make remarks congratulating the graduate. The level of formality will reflect what the family wants, and the graduate and parents are free to choose whether there will be any trappings of traditional graduations such as a diploma or cap and gown. In this case, two or three families whose kids are close friends go together to have a graduation party or dinner. This can work well, because if they have been homeschooling together, the graduates may have friendships from the same homeschool co-ops, youth groups, or arts or sports organizations. Parents can share the expense and work of creating a graduation party, and they will enjoy the celebration together. It’s also common for families of graduates who know each other from one or more larger groups to get together for a graduation of from five to twenty-five students. These might be kids from one or more co-ops, kids from the same church, or kids from a city- or county-wide homeschool group. These things can be ad hoc — where some of the kids aren’t really close friends, but their parents want them to have a more traditional ceremony, so they combine forces to create a graduation. I spoke at one of these graduations last year, and saw about a dozen kids graduate in full regalia. I wove personal stories into the commencement address I delivered, anecdotes I had collected from each set of parents. A homeschool band performed Pomp and Circumstance, and graduates walked across the stage and were presented their diplomas by their moms and dads. The ceremony was followed by a reception complete with punch and cookies. This kind of graduation is usually planned by a committee and/or someone who takes on the job of graduation director, with families and friends taking responsibility for various aspects of the graduation. Parents may chip in for expenses, such as catering, a musician, decorations, or a guest speaker. Some state or national homeschool organizations plan an annual graduation for their graduating seniors. These are planned by the organization’s administrators, though there may be volunteers and parents who are also contributing to make the graduation possible. There is usually a fee to participate. The upside of a graduation like this is that the date is usually set far in advance and parents of graduating seniors may have to do less to make the ceremony itself happen. The ones I am more familiar with tend to be the heaviest on the traditional and more formal aspects of a graduation ceremony. However, when these organizations host graduations, they are often gathering seniors from around a state or even multiple states, and I have heard some families say while the ceremony was nice, they found they were a little disappointed to see their son or daughter graduate among strangers. Parents and other family members may also have to travel to get to the graduation venue, and there may be limited tickets for each graduate’s friends and family members. These organizations may also be religious in nature, so they may not serve graduates who do not share the same faith. Some graduates and their families don’t mark a homeschool high school graduation. My oldest sons had recently had a big bash for their Eagle Scout banquets, and they weren’t anxious to go through a similar event, though they opted to take part in their college graduations later. When they were high school age, one took a gap year in South America, both were busy with jobs, and both had gradually added classes at the community college, so their transition felt more gradual than like an event that was a specific date on the calendar. Many homeschooling families see the transition to young adulthood this way, so they don’t have a graduation ceremony. They probably will find they still need homeschool transcripts or a diploma for college or work, but they don’t have to have a party or ceremony with Pomp and Circumstance playing in the background. A homeschool graduation, like homeschooling itself, can be whatever the family wants. 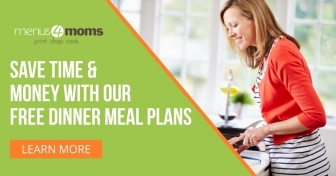 You can plan it yourself, join in with friends, get a larger group together, or participate with your state-wide homeschooling organization — or let kids slide into the next phase of their lives. Ask friends whose homeschooled children have already passed the graduation mark how they celebrated their children’s graduation. 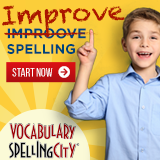 You’ll get some great ideas and realize that it’s another part of homeschooling that you can customize for your family. I have a few year yet before my two homeschool 8th graders are going to graduate but I have been to several homeschool graduations over the years. During those ceremonies I always felt that homeschool graduates are in a class of their own and should be recognized as such. For that, I have created a dedicated homeschool tassel and am looking for any help to get the word out that this symbol designed to recognize this special class is available. Discounts will be available to organizations holding formal ceremonies.